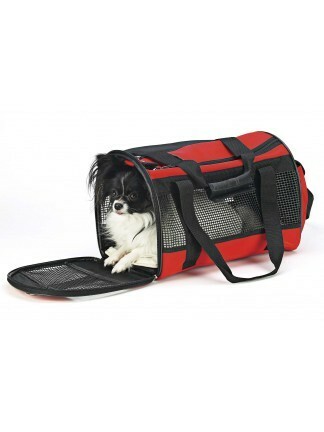 The stylish lightweight pet carrier that features Neo-Tec construction - light weight, durable sports fabric. 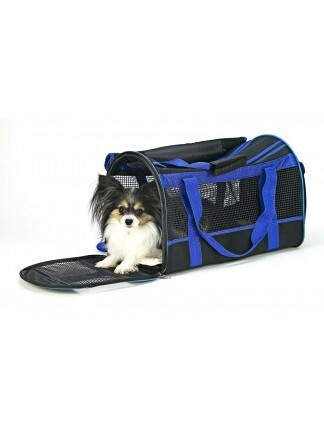 This carrier features mesh panels for ventilation, adjustable shoulder strap, convenient storage pocket and washable faux lambskin comfort pad on the carrier floor. 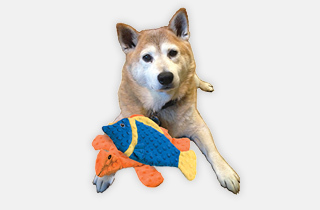 This size fits up to 13" L x 8" and 8 lbs.